Sabrina Lord began her ballet studies at 3 years old at San Francisco's Peninsular Ballet, then later studied at Ballet Arizona, Ballet Theater of New Mexico, and graduated from Bossov Ballet Theater in Maine in 2006. She was asked to join the company of Arts Ballet Theater of Florida in the summer of 2006 where she danced professionally for two years. In 2008 she returned to New Mexico to pursue a college degree at UNM and was asked to join Ballet Repertory Theater (BRT). She performed with BRT until sustaining an injury. 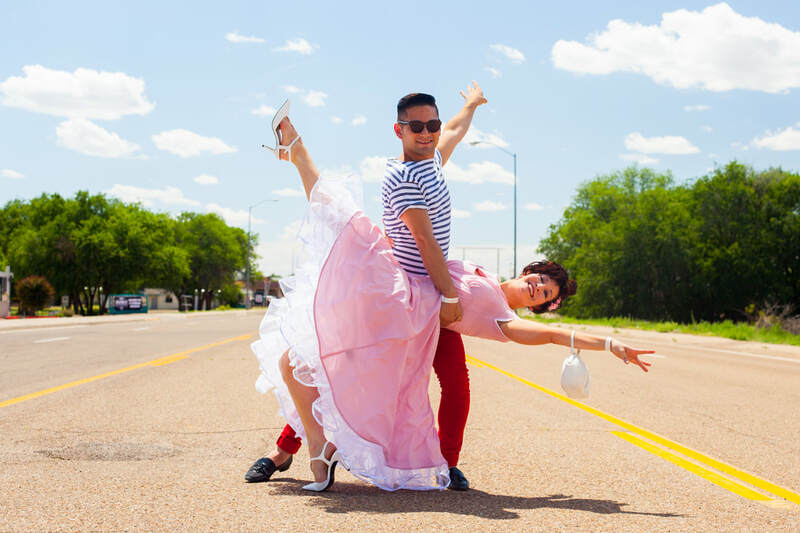 Following recovery, Sabrina began studying various ballroom styles with Millie Leahy at UNM and Bill Zimmerman at Enchanted Ballroom. She and her ballroom partner competed in small local dance comps and placed first for several entries. Sabrina has since joined Soiree Entertainment. Giacomo Zafarano began performing at a young age through in-school music and drama programs and counts Gene Kelly and Bugs Bunny as some of his earliest influences. His dance training began with the Ballet de Santa Fe youth company under the direction of Endelecia Prince. Giacomo holds a B.A. in linguistics from the University of New Mexico. He has performed professionally in Las Vegas, NV and around the US in commercial, industrial, and theatrical venues, and performs locally with dance and theatre companies in New Mexico. Giacomo is a Realtor, works in other areas of commercial real estate management, and continues to expand his intellectual, athletic, and artistic boundaries through the performing arts and other pursuits.